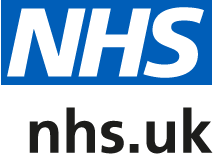 GPs across South Cheshire and Vale Royal are urging us to talk to their receptionist, to make sure you get the right help, which may not necessarily be from your GP surgery. Services are constantly changing and, in many circumstances, your GP may not be the best person you need to see. Reception teams across South Cheshire and Vale Royal have undertaken additional special training to make sure you can get to the right Healthcare Professional to treat your needs. This is called ‘Care Navigation’, where your receptionist or care navigator will ask why you are contacting the practice, to make sure you get the right care sooner. Dr Annabel London, GP and Clinical Lead for Primary Care at NHS South Cheshire Clinical Commissioning Group (CCG) and NHS Vale Royal CCG, said: “My main message is to have trust in your receptionist, they’re bound by the same rules of confidentiality as I am, so they’re not asking questions to be nosey. “Through the specialist training, they will be able to direct you to the best person or service who can treat your condition or help with the reason why you’re calling. “An example would be back pain – if you ask for a GP appointment but don’t say why, you could wait to see your GP. When you see your GP they would direct you to self-refer to a physiotherapist as the best person to treat your condition. With Care Navigation, if you tell the care navigator a few of your symptoms, they can advise you how to self refer straight to physiotherapy without waiting to see a GP to be aware of this. Care navigators will continue to receive ongoing training to support them in developing their role and skills.